It is fair to say that some had their doubts about Steve Cohen’s return to managing outside money. Once upon a time, if the Big Guy demanded $10 billion from investors, they’d pony it up and quick—and wouldn’t dream of asking for 2.75 and 10-to-30. In the wake of the unpleasantness, not so much. Once upon a time, SAC Capital Advisors had to beat the talent off with a stick, talent that was willing to go, uh, above and beyond to generate alpha. Point72 Asset Management is not so lucky—although things are getting better!—and even some of Steve’s top lieutenants have lost faith. The British have turned their backs on him, even in this, their self-inflicted time of greatest need. Well, to all of those who counted Steve Cohen out, he has one word: Scoreboard. 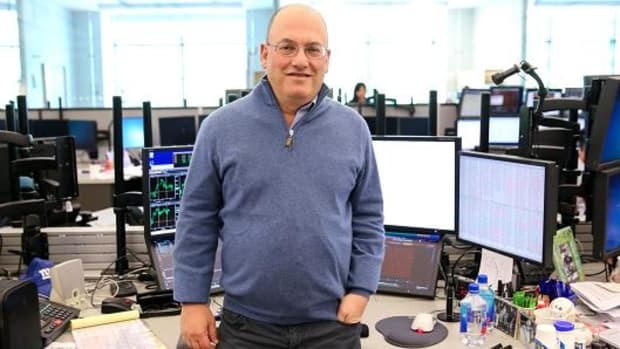 Point72 Asset Management, the hedge fund run by Steve Cohen, returned about 7 percent in the first half of the year, according to people familiar with the matter. Funds declined 0.33 percent for the year and slid 0.64 percent in June, wiping out gains seen in May, according to Bloomberg Hedge Fund Database. Did you join the former family office in the last four years? Perhaps you'd also like to retire. He may have to do this new hedge fund thing by himself and for free, just to prove that he can. As if it hasn’t already. Well, he's not, but 30 of his new employees are. The only problem is another money manager’s been using it for almost 20 years and isn’t interested in sharing.